Starts to relieve cravings in just 30 seconds to help you quit smoking for good. Acts fast on nicotine cravings to help smokers quit. Suitable for all smokers regardless of the Number of cigarettes they smoke. To help you quit smoking for good. 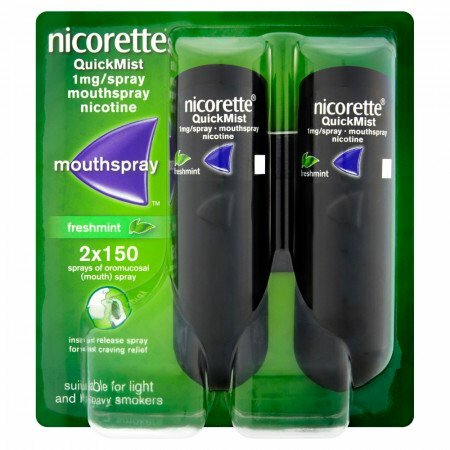 Nicorette Quickmist is a unique form of treatment for those who are looking to quit smoking. It works by simply spraying into the mouth which then works on reducing the cravings caused by nicotine addiction through smoking. 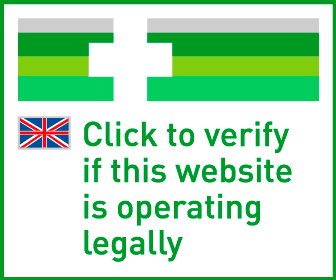 Who is Nicorette Quickmist suitable for? Can this Nicorette Spray be used by someone who is pregnant or breastfeeding? If you are pregnant or breastfeeding, speak to your doctor before using Nicorette Quickmist. Can this Nicorette Spray be used with medication? If you are using any medication currently, speak to your doctor before using. This is because there may be ingredients that interfere with each other. How should Nicorette Quickmist be used? Use it whenever you feel nicotine cravings. Spray it once, or twice if needed, in the mouth only. Use the spray up to 64 times a day. There may be irritation in the mouth when using the spray, though it should stop quite quickly. If you notice a side effect persist long-term, speak to your doctor as soon as possible. Keep Nicorette Quickmist out of the reach of children at all times. Store in a safe and cool place. Always read the included product information leaflet before use.